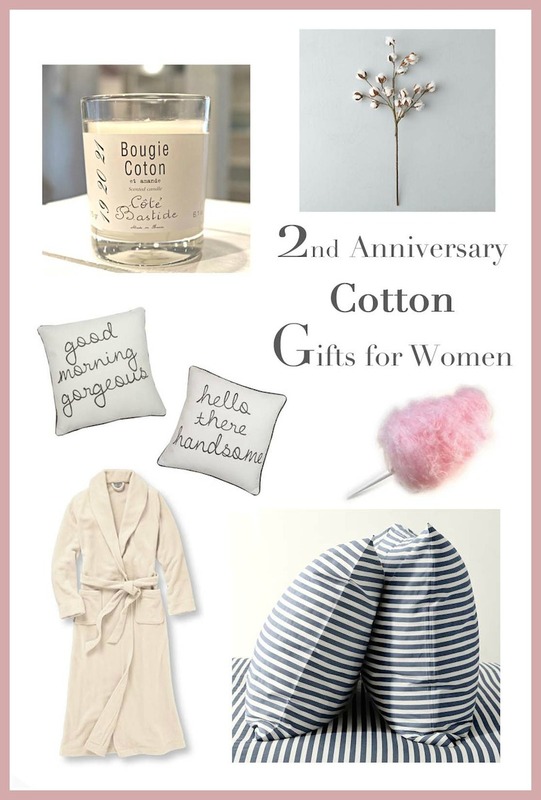 Last week I shared 2nd anniversary gifts for men, but let's be honest, we all know it's really the men who need help finding gifts for the women ;) So men, if you're getting ready to celebrate your 2nd wedding anniversary her are a few gift ideas to get your lady based on the traditional theme of 'cotton'. And ladies, feel free to share/tweet/email/Facebook/send-by-carrier-pigeon this post to your husband...a couple subtle (or not so subtle) hints never hurt nobody! You can see ideas for 1st anniversary gifts for women here.